Are you gluten-free or dairy free? If so, you might not have to be! Our guest Dr. John Douillard, a former NBA nutrition expert and creator of LifeSpa.com, addresses the underlying cause of the gluten-free epidemic. 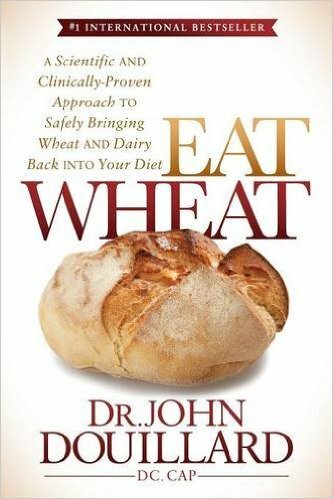 In his newest book ‘Eat Wheat: A Scientific and Clinically-Proven Approach to Safely Bringing Wheat and Dairy Back Into Your Diet’ he exposes the myths behind gluten intolerance and reveals the real culprit could be our digestive systems!